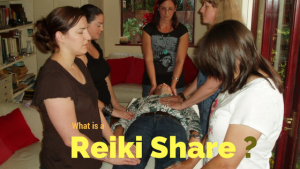 At one point or another, you may have wondered, “where can I find Reiki near me”? Below, you will discover the most up-to-date for 2019 list of the best Reiki Masters for students seeking training classes, certification and attunement in Michigan. Also, locate Reiki treatment and energy healing sessions in order from the highest to least populated cities and towns in MI. TheLightOfHappiness.com brings together the local Michigan community of healers with a resourceful guide to locating energy healing in a town or city near you. Deep Tissue Therapy and Reiki is a one stop shop for treating all blood and muscular ailments, including: muscle pain, bulging discs, arthritis, migraine and headaches, scoliosis, post-op tissue healing, sprains and strains, lateral epicondylitis, hip issues, plantar fasciitis, and chronic pain. Michigan Reiki provides one on one Reiki healing, group healing, training (for both emerging and advanced Reiki healers), workshops, and their unique “Reiki Dojo” where practitioners and students can exchange, grow, and learn from each other in their Reiki healer journey. Michigan Reiki is devoted to healing clients and creating a Reiki community of practice. The International Center for Reiki Training is an incredibly powerful educational resource and tool for Reiki practitioners, students, and for clients looking for Reiki healing services. 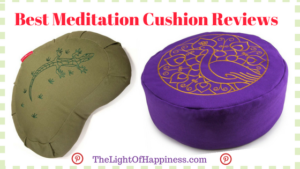 They provide over 581 web links, articles, classes, magazines, stories, research, music and audio meditation downloads, and a newsletter – all devoted to educating and empowering as many people as possible with Reiki resources and training. Reiki Haus is a Reiki learning center for Level I, II, and emerging Masters to learn techniques and receive attunements for Reiki practice. Reiki Haus also travels to homes, businesses, and other institutions to conduct environmental Reiki healings and blessings. Patty Shaw integrates Akashic Record readings with her Reiki healing approach to empower her clients with spiritual knowledge and healing in their session. Patt Shaw also has a “walk in” Reiki healing clinic, which also serves as an opportunity for those who are curious about Reiki to lean more in a welcoming and interpersonal environment. Grand Traverse Reiki is a haven for clients to find health and happiness through energy healing. Caitlin Watkins is a Reiki Master Practitioner who uses traditional Usui Reiki and chakra balancing to heal clients and help them maintain their physical, mental, spiritual, and emotional health. Reiki for animals, cleansing spaces, and corporate wellness programs are also offered.